Warner Bros. has indicated that director James Gunn’s The Suicide Squad is more of a reboot than a sequel. However, it’s looking more like a sequel with the latest addition to the cast. 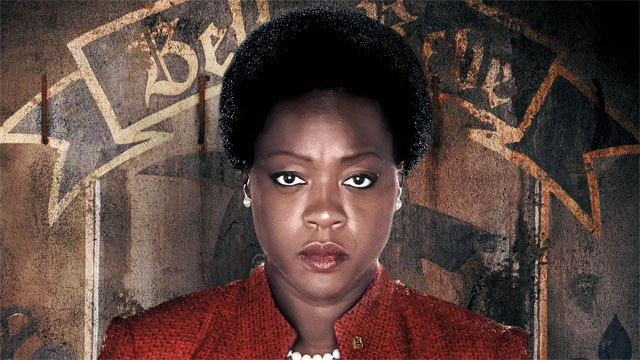 Via The Wrap, Viola Davis will reprise her role as Amanda Waller, the leader of the Suicide Squad. Davis originally played Waller in the 2016 Suicide Squad movie, as she blackmailed a group of villains into doing her bidding. In the DC Universe, Waller is nicknamed “the Wall” for her relentless and ruthless approach to the job. Warner Bros. didn’t confirm The Wrap’s report at press time. Regardless, this news would make Davis the second returning cast member from the original film. Last month, Jai Courtney made a deal to return as Captain Boomerang. At least one high profile cast member from the original film won’t be returning. Will Smith was forced to vacate his part as Deadshot due to schedule constraints. Idris Elba will take over the role for The Suicide Squad. It’s currently unclear if Margot Robbie will reprise her role as Harley Quinn in the new film. Robbie is currently filming the Birds of Prey movie, which may give her character a separate franchise. Joel Kinnaman’s Rick Flag is not expected to return, and there will be a few additions to the team. Some of the newcomers to the squad reportedly include Ratcatcher, King Shark, Polka-Dot Man, and Peacemaker. Gunn is writing and directing The Suicide Squad before returning to Marvel Studios to helm Guardians of the Galaxy Vol. 3. The Suicide Squad will hit theaters on August 6, 2021. Are you glad to see Viola Davis reprising her role for The Suicide Squad? Let us know in the comment section below!